Sir Ponnambalam Ramanathan, KCMG, QC, MLC. Gate Mudaliyar Arunachalam Ponnambalam married Sellatchi Coomaraswamy, daughter of Gate Mudaliyar Arumugampillai Coomaraswamy, MLC, of Point Pedro. They had four sons, namely, P. Coomaraswamy, MLC, SC, (1849-1905), Sir P. Ramanathan, KCMG, QC, MLC, (1851-1930), Sir P. Arunachalam, MA, CCS, (1853-1924) and Mudaliyar P. Padmanaba. Sir P. Ramanathan was born on 15 April 1851, in Colombo. He reside at “Sukhastan” Ward Place, in Colombo, a fashionable residential area then. His grandfather, Gate Mudaliyar Arumugampillai Coomaraswamy was the first appointed to the Legislative Council. His granduncle Mudaliyar Ethirmanasinghe took his place from 1846-1861, being succeeded by Sir Muttu Coomaraswamy from 1862-1879. The famous scholar Dr. Ananda Kentish Coomaraswamy was Sir P. Ramanathan’s first cousin. Dictionary of Biography of the Tamils of Ceylon asserts that he had his early education at Royal College and proceeded to Presidency College Madras, for higher studies. Sir P. Ramanathan married Sellachchi Ammal, daughter of Mudaliyar E. Nannithamby of Manipay. They had three sons and three daughters, namely, Ramanathan Mahesan, Ramanathan Rajendra, Ramanathan Vamadeven, Sivakolunthu Ramanathan married Hallock Rajanathan, Rukmini Ramanathan married Somasundaram and his third daughter Ramanathan married Tambyah Muttukumaraswamy. After his higher studies, he chose the legal profession and became an Advocate of the Colombo Bar in 1874. As a young Advocate, he became prominent by editing the Law Reports of the previous thirty six years. Subsequently he was appointed editor of the official Law Reports, which position he held for nearly ten years. The Governor nominated him to the post of Unofficial Member of the Legislative Council in 1879, on the retirement of his illustrious uncle Sir Muttu Coomaraswamy, FRGS, MLC, (who himself was an international figure, having been Knighted personally by Her Majesty the Queen Victoria at Buckingham Palace in London, for his services to the comity of nations, and who was the father of Ananda Kentish Coomaraswamy, the well known international scholar). Sir P. Ramanathan’s public life began in 1879 at the young age of 28, he was chosen for the Nominated Unofficial Member seat in the Legislative Council, in preference to a Senior Advocate C. Britto. It was a very keen contest, when several public meetings were held in Jaffna. He secured the seat, which his distinguished grandfather had occupied. 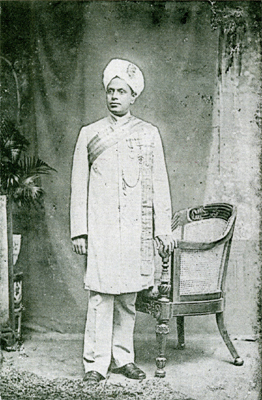 Sir P. Ramanathan functioned as an Unofficial Member of the Legislative Council until 1892. A few years later, he went on a tour of Europe, with his family. While in England, in 1886, he was presented to the Queen Victoria by the Prince of Wales. He was also called to the England Bar without keeping a single term, which was a unique privilege. At the age of 38, he was a Senior Barrister, with over fifteen years legal experience and was also the Unofficial Leader of the Legislative Council. He was awarded the prestigious title of KCMG, (Knight Commander of the Order of St. Michael & St. George) by the Imperial Government in 1889, and was made a King’s Counsel in the legal profession in 1903. Considered as the most suitable person, he was invited by the Government to function as Solicitor General. He accepted and held that position with great esteem and honour, from 1892 to 1908. When in 1903 Queen’s Counsels were appointed in Ceylon. Sir P. Ramanathan was on of the first to receive that honour. After the death of his first wife, he married in 1906 an Australian born Lady by the name R.L. Harrison. She became a Hindu, having studied its scriptures deeply. Lady R.L. 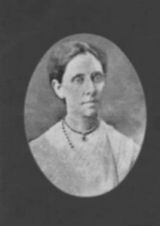 Harrison was his devoted secretary during his American lecture tour and who later came to be known as Lady Leelawathy Ramanathan, and she was the Principle of the Ramanathan Ladies College in Jaffna for several years. Their only daughter Sivagamasundari later married Mr. S. Natesan Pillai, a very cultured person of Indian origin, who became a Member of Parliament in Ceylon. His lectures on Hinduism and Hindu Philosophy, delivered at the higher seats of learning there, were published by his wife later. Sir P. Ramanathan would go on working at his desk far into the day and night completely oblivious of food and drink and would brook no interference. If she asked him for lunch or dinner, he would upbraid her for interrupting him. Knowing this side of his nature, she would gently steal into his presence, employ all the arts that only a woman knows of ingratiating herself with him, cautiously cajole him into conversation on the subject that preoccupied him and then let slip a mild suggestion that it would be wise to have a hurried meal and resume. She played host to his numerous friends who came to him from far and near, supervised his large retinue of servants, managed his extensive estates and farms and did a host of other things in a supreme endeavour to free him from the many anxieties and worries, which are generally the portion of men in high places. She was a vegetarian ever since she came under his influence and remained so to the end of life. The Honorary Degree of Doctor of Laws was conferred on her by Ceylon University in 1942. Lady R.L. Harrison was residing at the Campus of the Ramanathan College in Chunnakam, Jaffna. She passed away on 31 January 1953, at the age of 80 years. One of his remarkable achievements was the winning of the election for the Educated Ceylonese seat in the Legislative Council, in 1911. He defeated Dr. Marcus Fernando, a popular Physician. He retained the seat for over ten years. In 1915, Sir P. Ramanathan was very much in the forefront during the widespread and prolonged Sinhalese Muslim riots in Ceylon. When he battled for the release of the Sinhalese leaders who were held in detention. In October 1915, he even made a hazardous journey to England, during the First World War, to present their case personally. He won their release and on his return, the supporters of the leaders showed their appreciation by carrying him in a palanquin from the landing jetty to his residence at “Sukhastan” Ward Place, in Colombo. Earlier during his tenure of office as Solicitor-General, he was nominated by the Government to represent Ceylon as a delegate to the Golden Jubilee celebrations of Queen Victoria in 1897 at London. At the request of Lord Salisbury, the Prime Minister at that time, he delivered an eloquent speech at the celebrations, dressed in his immaculate long coat and turban, which was greatly appreciated by all present. Lord Salisbury described him as the most accomplished speaker in the British Empire and the Queen awarded him a gold medal on the occasion. It is interesting to note that this appellation was subsequently conferred on Srinivasa Sastri of India in the 1930’s, when he was known as ‘the silver-tongued orator of the British Empire’. Sir Ponnambalam Ramanathan was not only steeped in Hindu and Christian mysticism, but was deeply involved in the revival of Buddhist activities in Ceylon. He was responsible for the Government declaring Wesak a public holiday, and was closely associated with Col. Henry Olcott, the co-founder of the Theosophical Society, in promoting Buddhist education in schools. He was conferred a Knighthood by the Imperial Government in 1921, when he was seventy years old, and Nominated Unofficial Member of the Legislative Council 1922-1924. When territorial representation was introduced, he contested and won the Valikamam North Seat, in the Jaffna Peninsula, which he occupied from 1924 until his demise on 26 November 1930, almost 80 years old. His monumental contribution to education has been the establishment of two Schools, the Ramanathan College for girls established at Chunnakam in 1913, and Parameshwara College for boys, eight years later. The latter has since become the Jaffna University Campus. In 1856, Gate Mudaliyar Arunachalam Ponnambalam originally built the Ponnambala Vaneswara Temple 38, Sir Ramanathan road, Colombo, out of brick and mortar. Sir P. Ramanathan demolished it in 1906, and he built a new splendid granite temple with delicately carved rock stone pillars and images on this site between 1907 and 1912. He also later built two small temples at the Ramanathan Ladies College Campus at Chunnakam and at the Parameswara Boy’s College Campus at Tinnevely, Jaffna. Beside the Sir P. Ramanathan, Reports and Supreme Court Circulars collected and edited by him, he has authored the following writings in English: Culture of the Soul among Western Nations, Commentary on the Gospel according to St. John, Commentary on the Gospel according to St. Mathew. In Tamil: Translation of the Bhagavat Gita with Notes and Commentaries, Senthamil Ilakanam and others. The Sri Lankan Government honoured him by issuing a commemoration postage stamp, value 75 cents on 4 September 1975. Sir Ponnambalam Arunachalam, MA, CCS. Sir Ponnambalam Arunachalam, MA, CCS, scholar, the younger brother of Sir P. Ramanathan and was the third son of Gate Mudaliyar Arunachalam Ponnambalam and Sellacthi Ponnambalam. He was born in Colombo, on 14 September 1853. Dictionary of Biography of the Tamils of Ceylon asserts that he had his early education at the Royal College, he showed his brilliance and high intellectual ability by winning several prizes and distinctions at the Academy. He then proceeded to Christ’s College, Cambridge for higher studies, as a scholar, in 1870. There he distinguished himself in Classics and Mathematics, winning the Foundation Scholarship and obtaining the Masters degree, and returned to Ceylon in 1875, on the same year he entered CCS. Later he was called to the Bar. 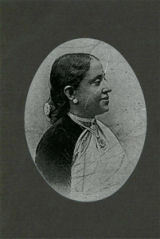 Sir Ponnambalam Arunachalam married Swarnambal Namasivayam, daughter of Mudaliyar Namasivayam of Manipay in Colombo 1883. They had three sons and five daughters, namely, Sir Arunachalam Mahadeva, KCMG, married Sivahamasundary Moothathamby, Arunachalam Ramanathan, Arunachalam Sayanthan married Varmadevi, Sivanandam Arunachalam married Thambyah Murugesar, Maheswary Arunachalam married Segarajasingham, Manonmani Arunachalam married Sri Pathmanathan, Lady Pathmavathy Arunachalam married Pararajasingham and Sunthari Arunachalam married Ratnasabapathy Nadarajah. In 1919, Sir Ponnambalam Arunachalam was elected as President of the Ceylon National Congress. Dictionary of Biography of the Tamils of Ceylon asserts that on his retirement from the Public Service in 1913, he was Knighted in recognition of his distinguished service to the country. He was also nominated by the Governor to a seat in the Executive Council. He was the first Ceylonese to be elected President of the Ceylon Branch of the Royal Asiatic Society. As President of the Saiva Paripalana Sabai, he took much interest in Hindu cultural matters. He was the first person to start agitating for a University for Ceylon (one of the Halls of residence at the Peradeniya University has been named Arunachalam Hall, in 1951). He died at Madurai on 9 January 1924, while on a pilgrimage worshipping at the Hindu Temples in South India. Dictionary of Biography of the Tamils of Ceylon asserts that by the erection of his status in Parliament square in 1930. His portraits have been unveiled at Royal College and at the Offices of the Ceylon National Congress and the Ceylon Social Service League. His Philosophical and Religious contributions have been collected and published later in 1937, with the title studies and translations. Sir C.P. Ramaswamy Aiyar in his foreword writes, “The world cannot be sufficiently grateful to Sir P. Arunachalam for having in his philosophical and religious ‘Studies and Translations’ unlocked these treasures of thought and of language to those wholly or partially unacquainted with the wonders of Tamil thought and Tamil poesy”. Lady Swarnambal Arunachalam passed away in 1940, at the age of 80 years. The Sri Lankan Government honoured him by issuing a commemoration postage stamp, value Rupees 1, on 10 March 1977.